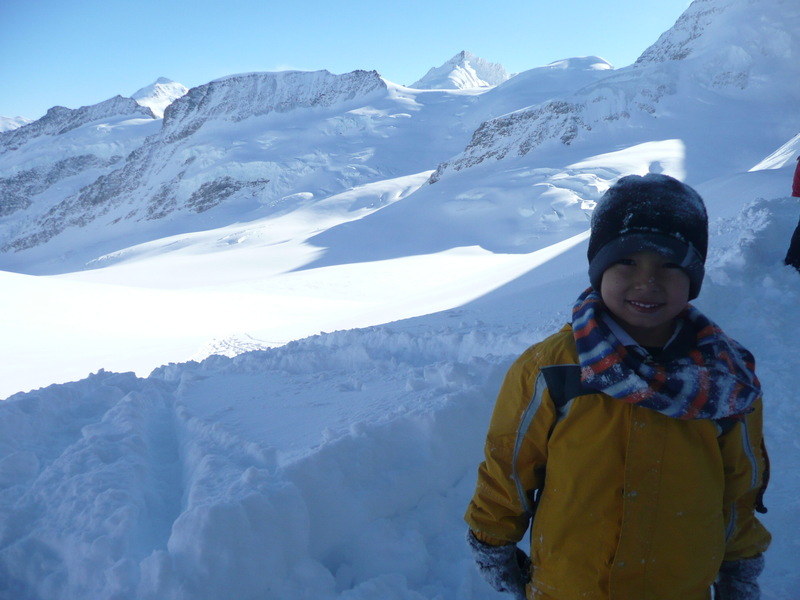 Frozen by the beauty of the Jungfraujoch, the Top of Europe. 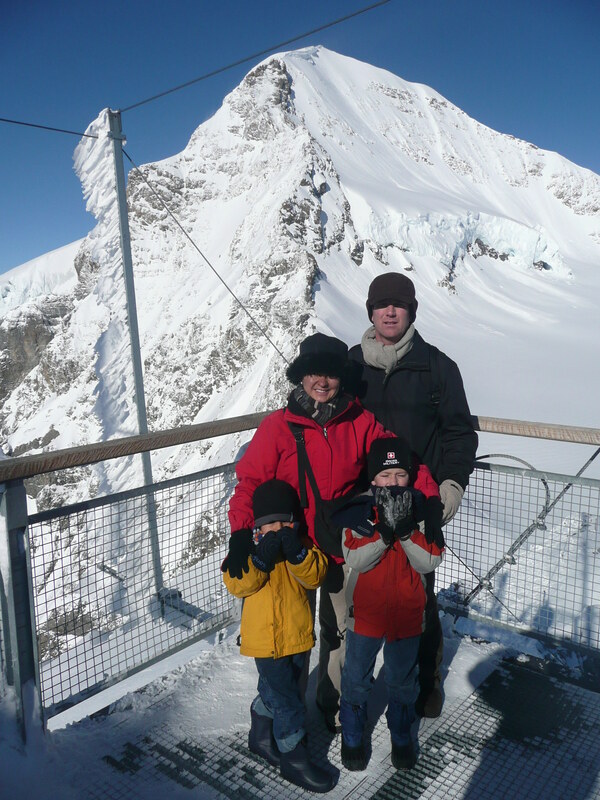 During our tour of Switzerland in 2008 we wanted to see the breathtaking panoramas of the Alps and conquer it’s highest peak. 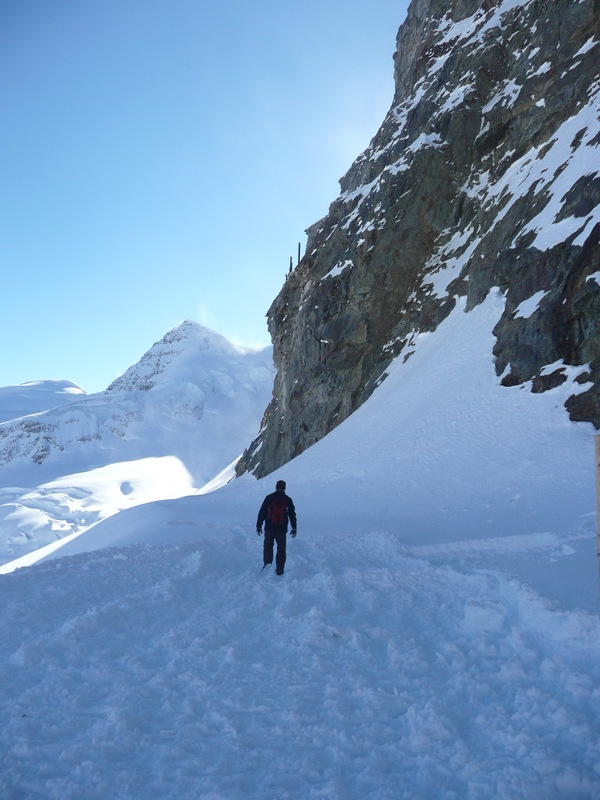 The Jungfrau (German for maiden/virgin) is one of the main summits in the Bernese Alps in Switzerland. 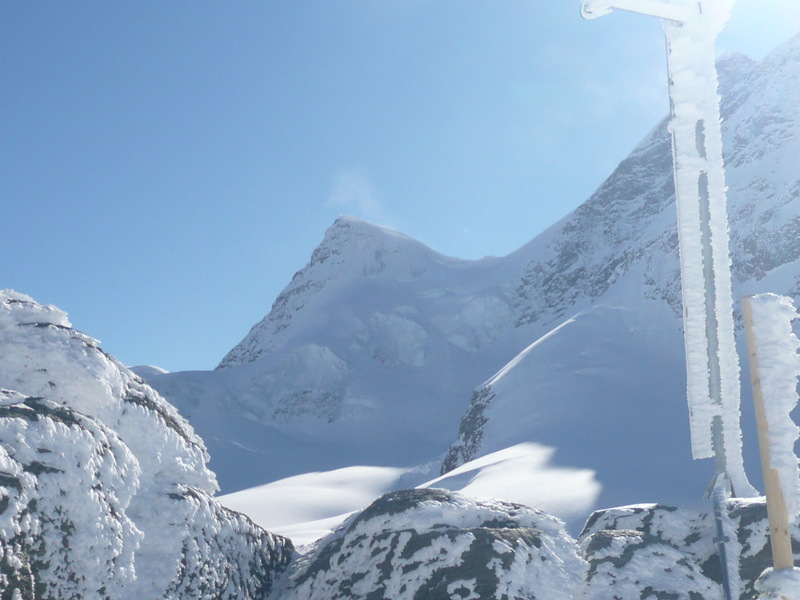 Together with the Eiger and Mönch, the Jungfrau forms a massive wall overlooking the Bernese Oberland and is considered one of the most emblematic sights of the Swiss Alps. To go all the way up is quite a trek. 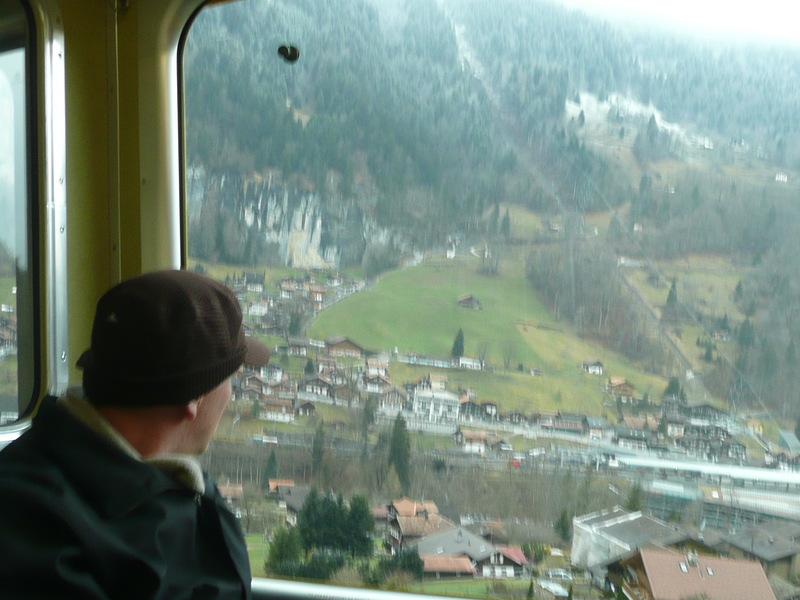 You board the first train at the Interlaken train station and your journey starts with an ascent like no other through picturesque swiss villages. 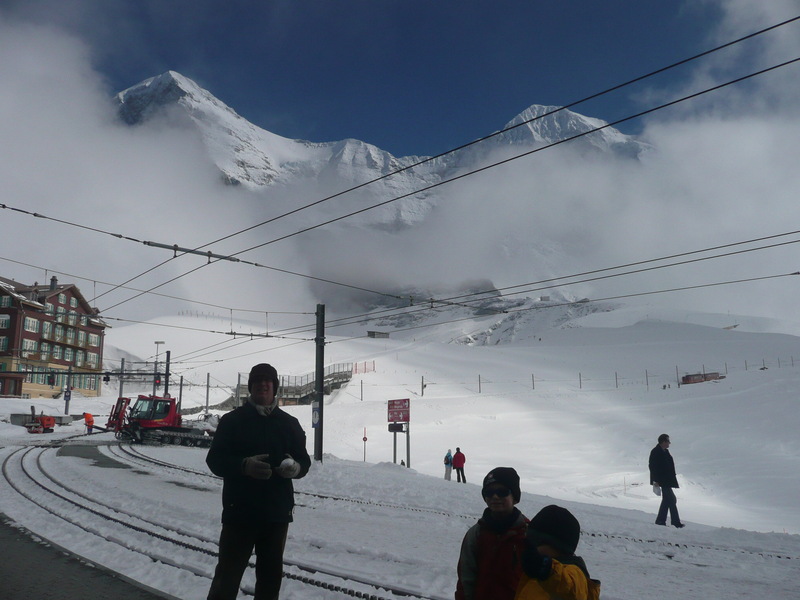 Then you change trains several times until you reach the summit standing at 3,454 m (11,332 ft), making it the highest train station in Europe. 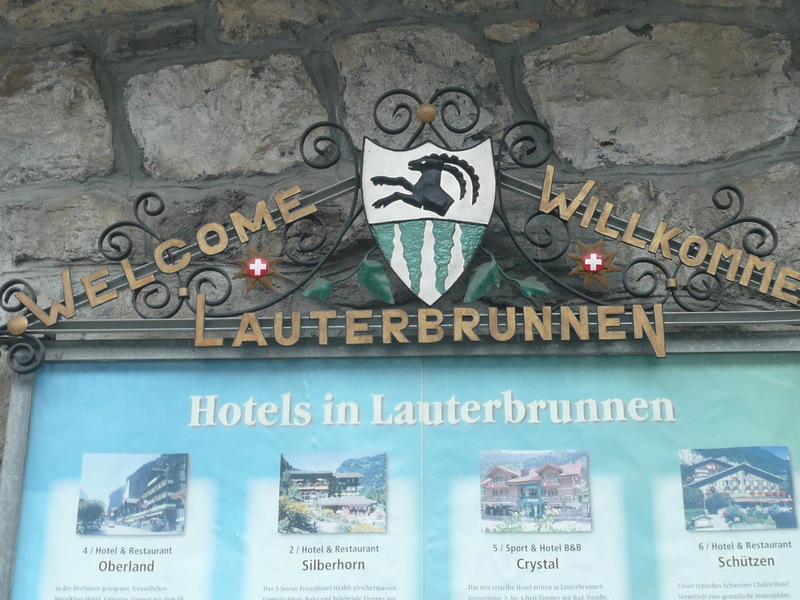 The first stop is at the picturesque town of Lauterbrunnen. 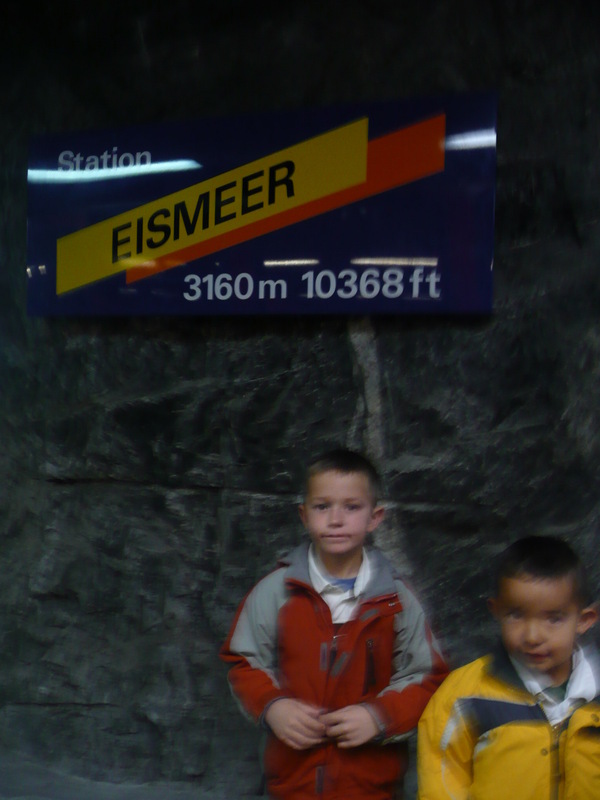 The boys (ages 6 and 7 at the time) were loving all these trains and stops. What boy doesn’t love trains? 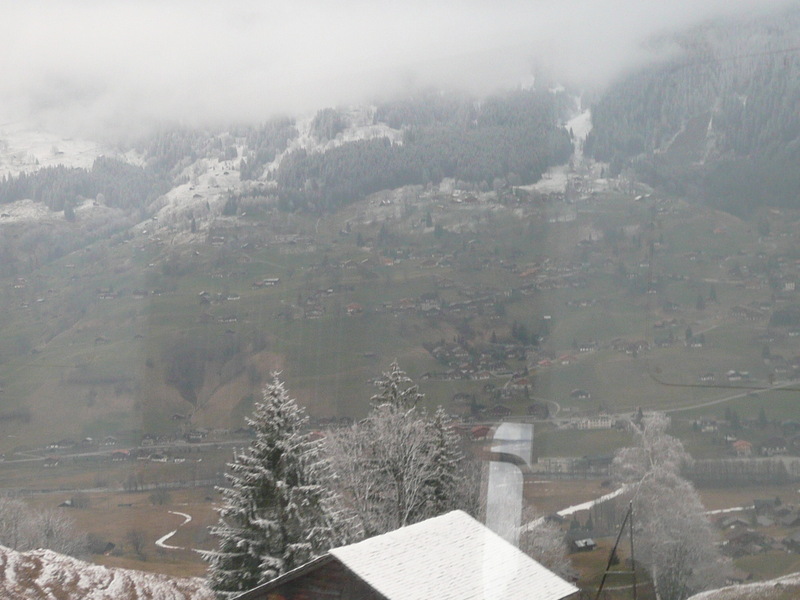 As we got higher we started to see some snow. 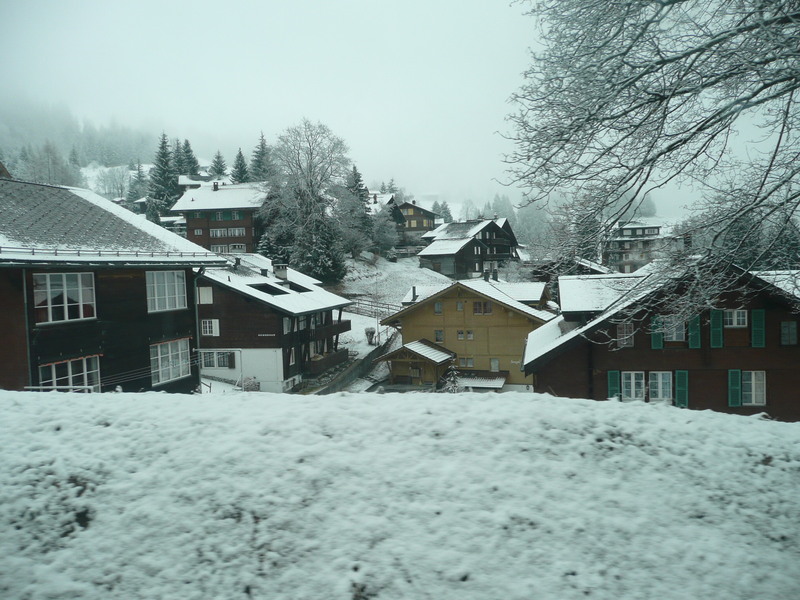 The chalets’ roofs and the trees were covered in snow so it all looked like a Christmas village. 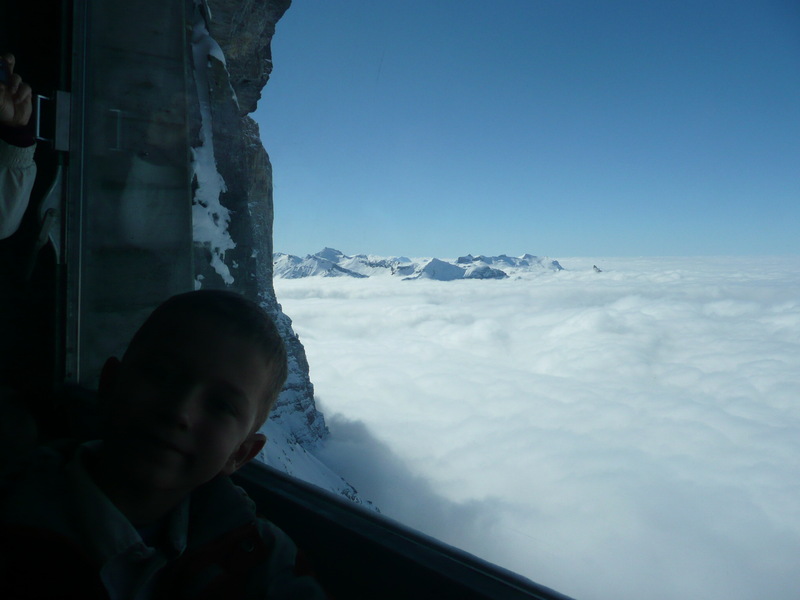 When you get to Kleine Scheidegg, you are already pretty high up and it is very cold. 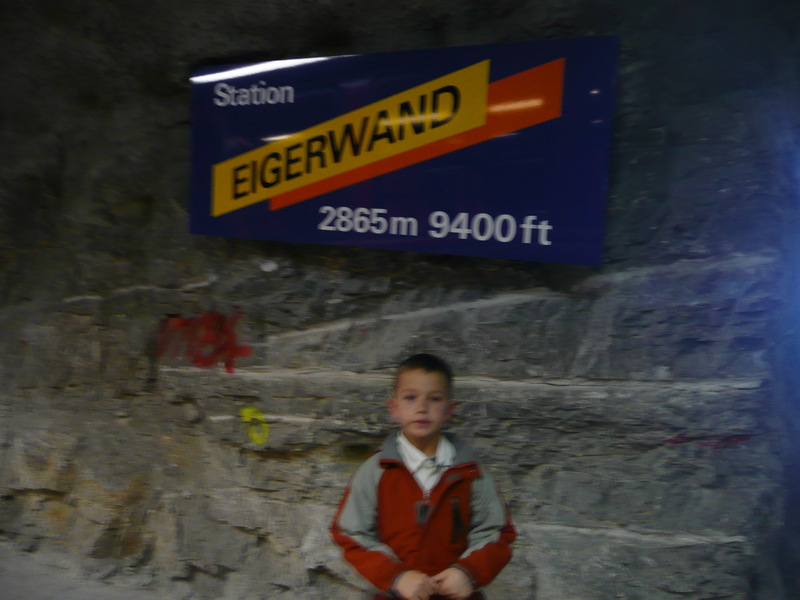 But this is just the beginning of the Jungfrau Railway that goes deep into the mountain rock. Adolf Guyer-Zeller first thought of the idea of the rock tunnel in 1893. 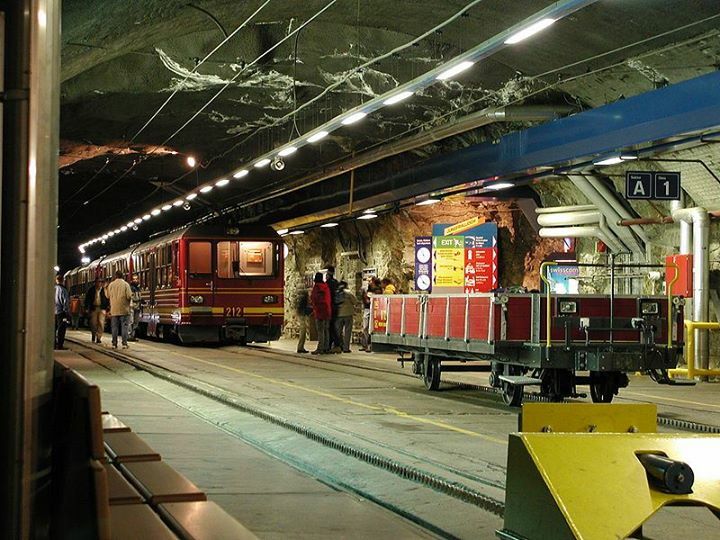 The building of the tunnel started on July 27, 1896 and took 16 years to complete. Impressive! 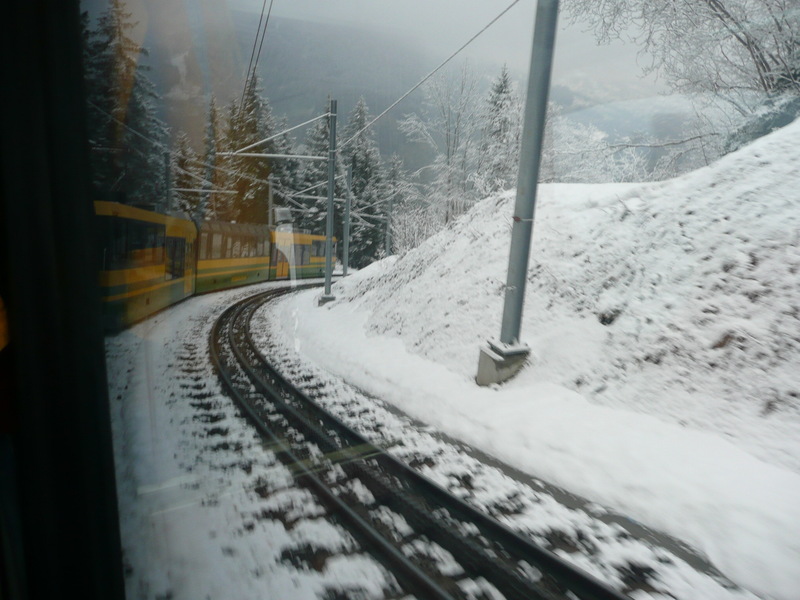 The train makes two stops inside the mountain before reaching the summit. 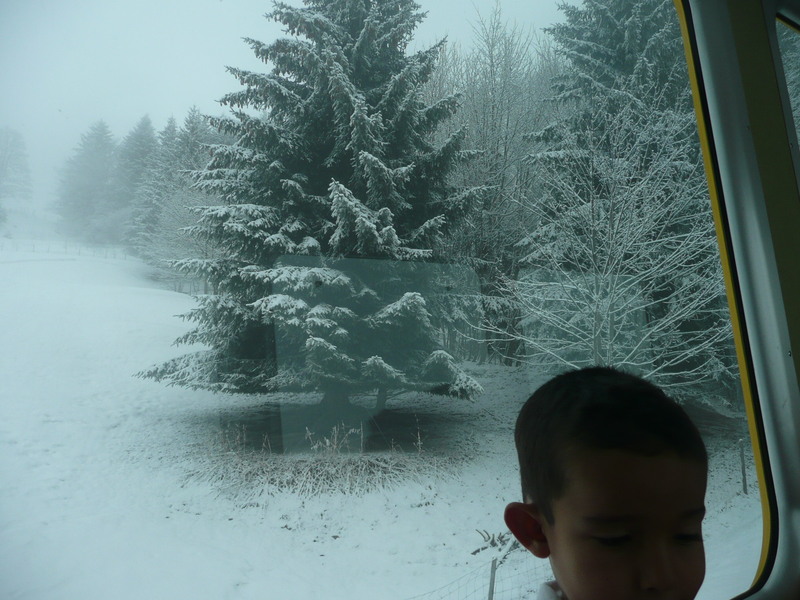 The first one is at 9,400 ft (2865m.) 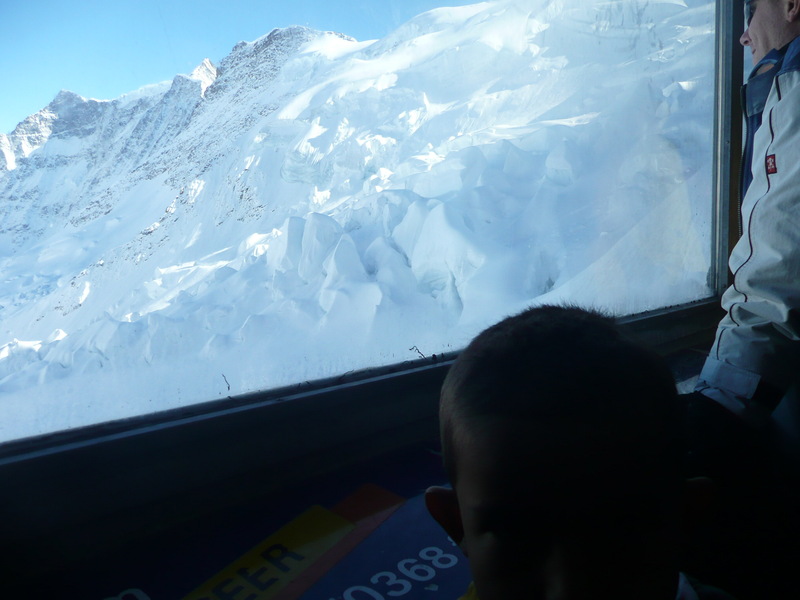 The train stops for about 10 minutes and you can get off and go to the massive windows they made to see how high up you are and those stunning vistas. By now, we are above the clouds and the sky is crystal clear. The snow looks thicker. 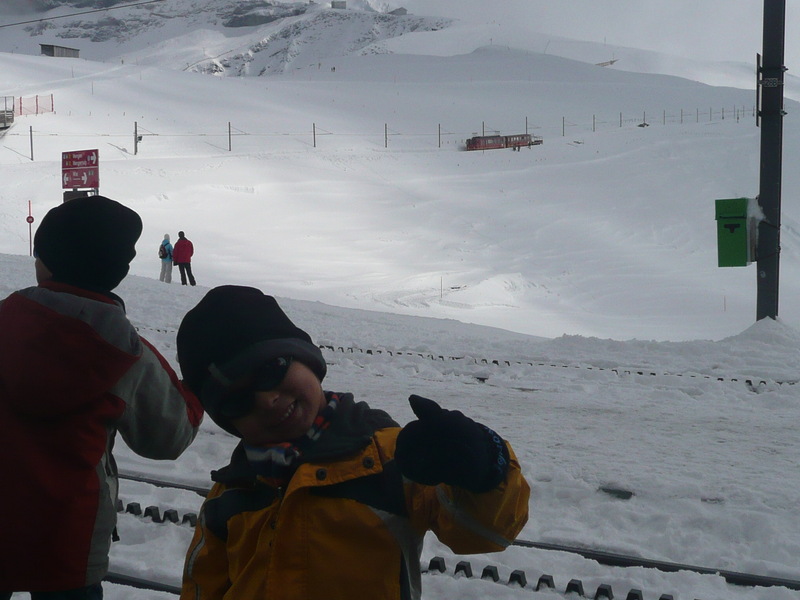 The second stop is at 10,368 ft (3160m). 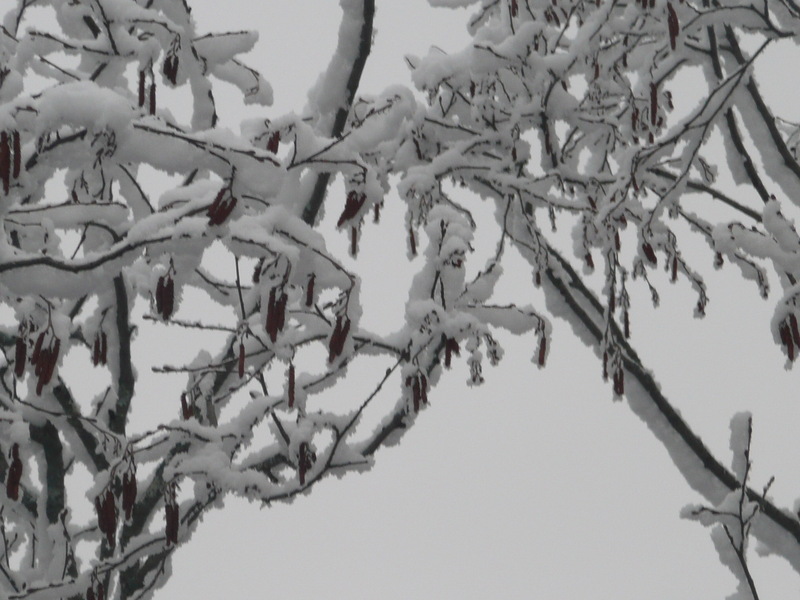 The snow now looks like frosting. 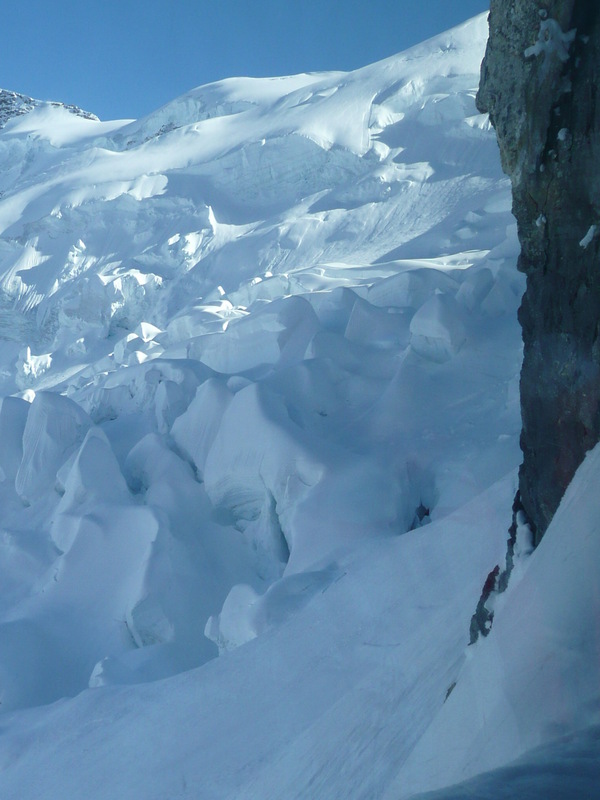 Through the small crevices in the snow you can see the blue glacial ice buried deep. It looks like it glows. Spectacular! 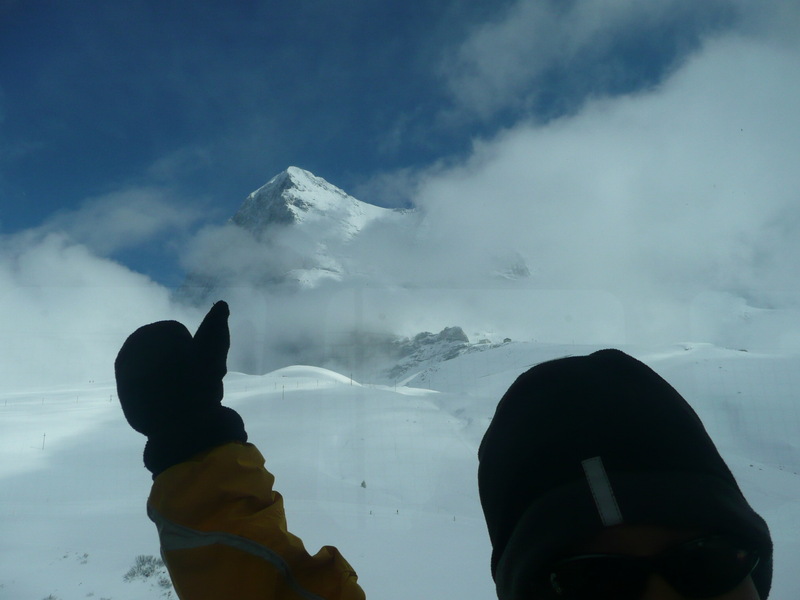 Finally, the last stop takes you to the summit of this massive mountain. 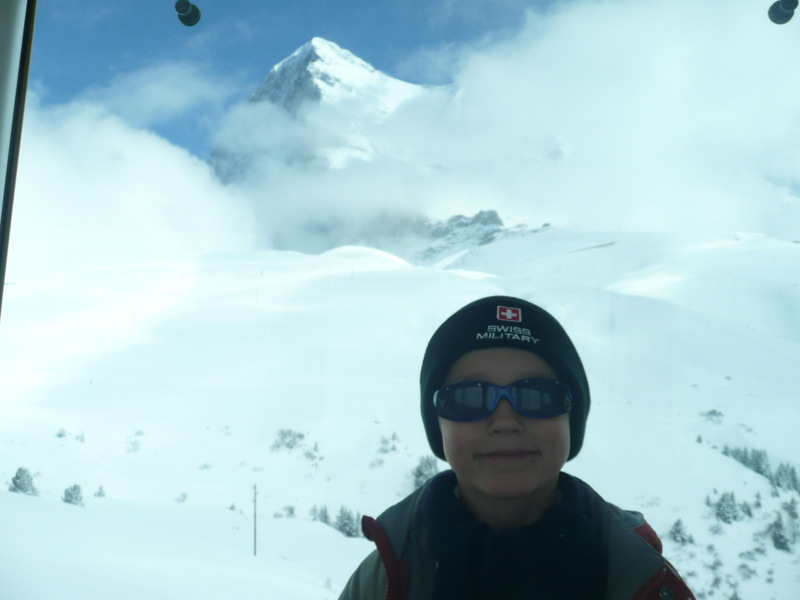 The Top of Europe. 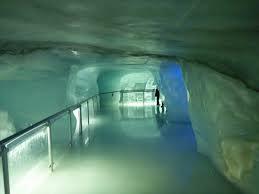 The building is big and through a series of tunnels you can reach the different areas of the complex. They have a several panoramic restaurants, shops and a post office. 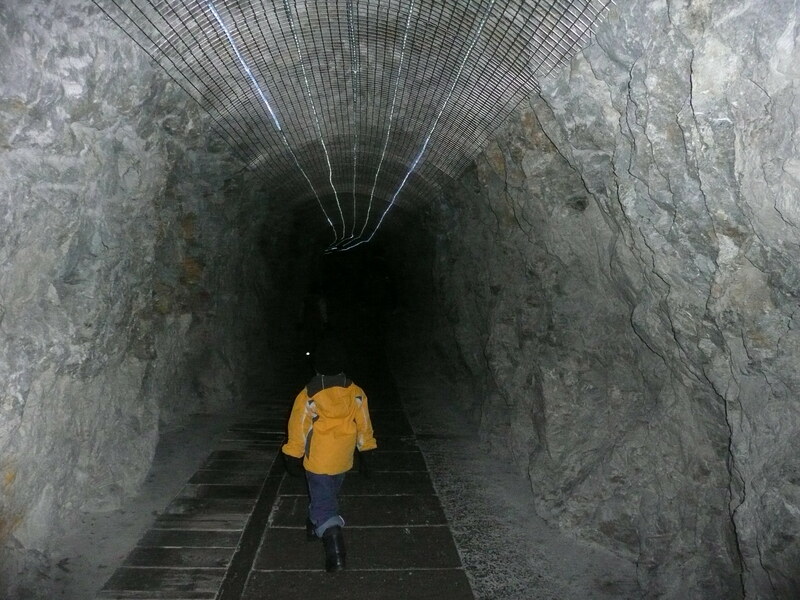 Some of these tunnels lead outside. We went for the highest and most spectacular vantage point area. When you step outside, you get hit with the coldest air ever! 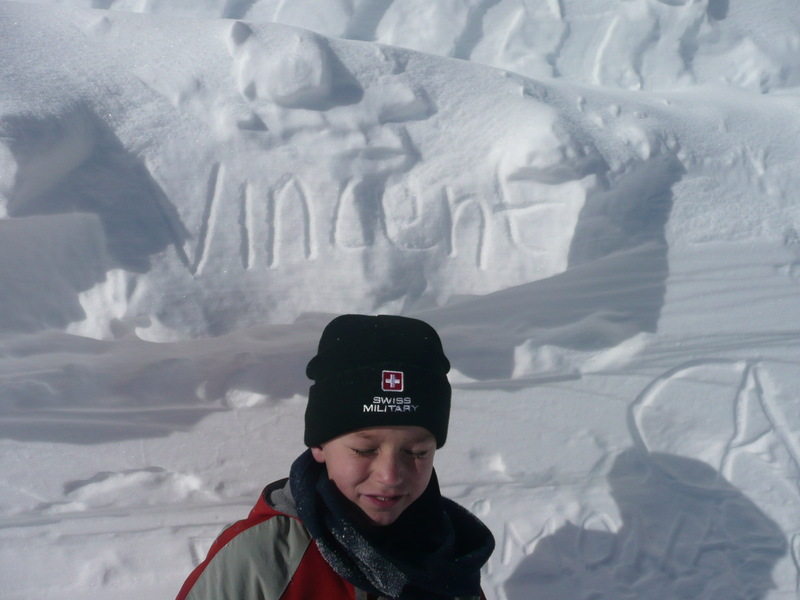 That day it was -21°C (-5°F)!!! As you can see the cold was so unbearable that the boys could only take it for about 60 seconds. Right after I took this picture they ran back inside the building. The view is amazing! 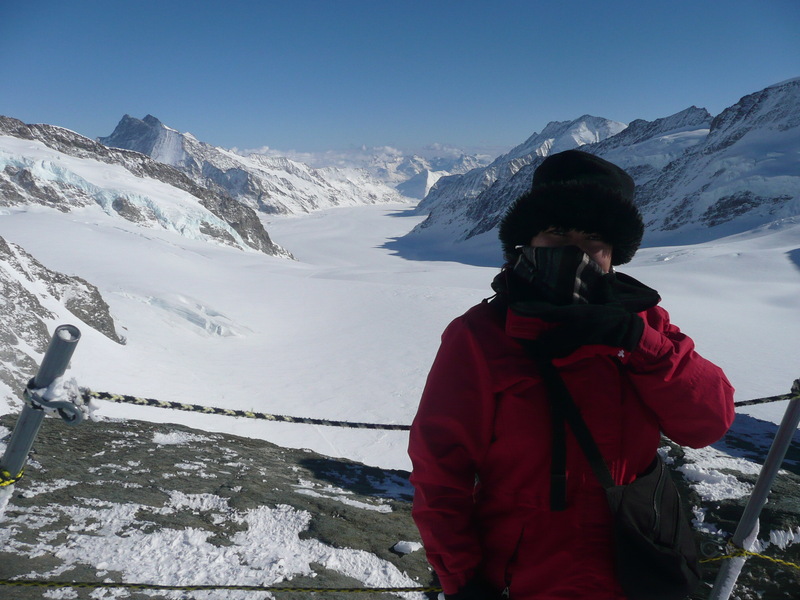 The Aletsch Glacier, the largest in the Alps, is a sight to behold. I could barely breathe. The air is so thin and cold, it hurts to breathe. The sky was blue and the silence was only broken by the slight chilly winds. It looked like the peaks were steaming, it was that cold! 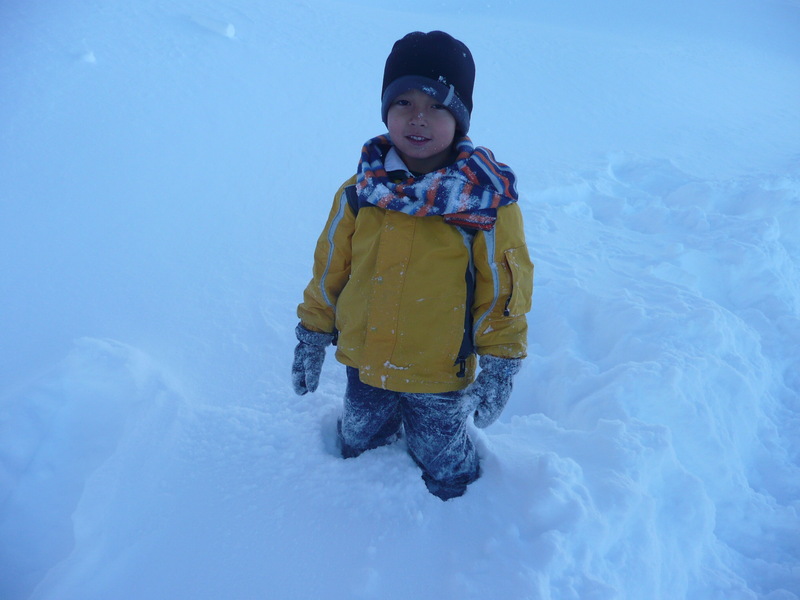 We then went to the other side of the mountain where it seemed like it was not that cold, so the boys came out to explore. This first picture is one of my favorites of Wayne. 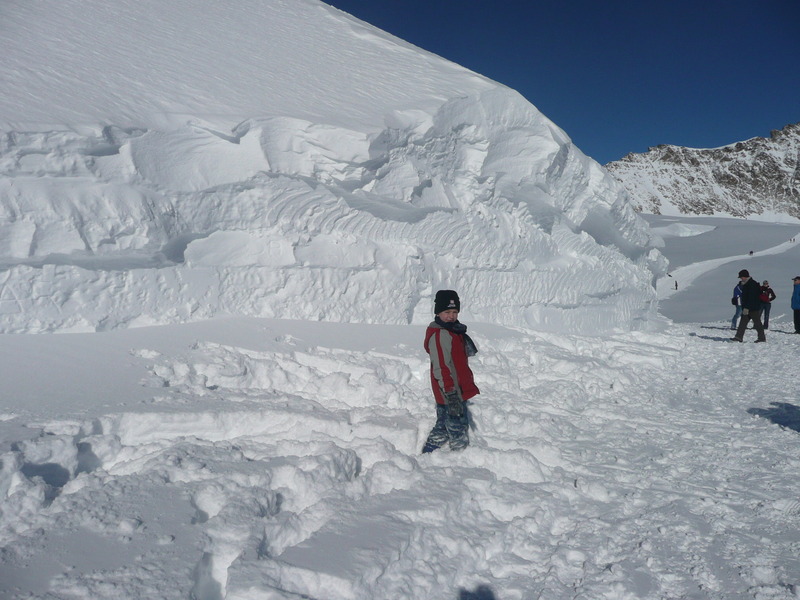 The snow walls were fun. The boys doodled all over it. 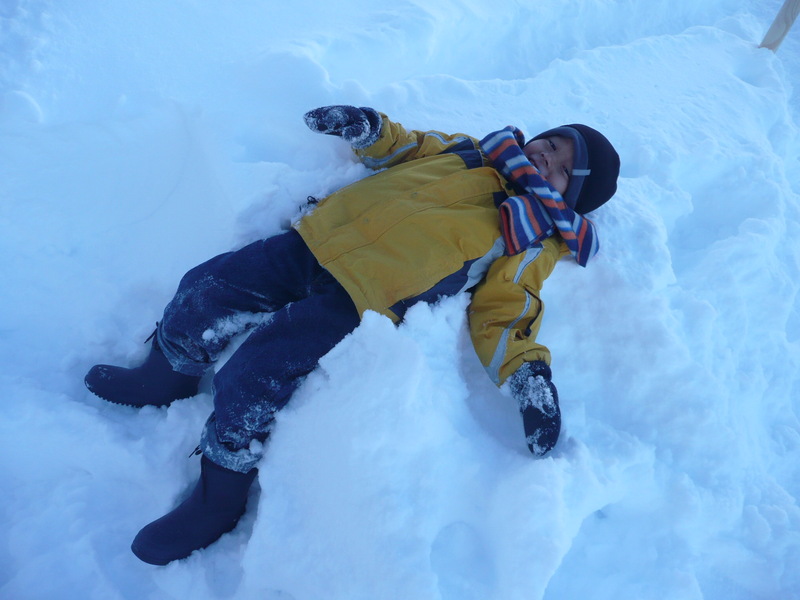 They had fun in the thick, thick snow. 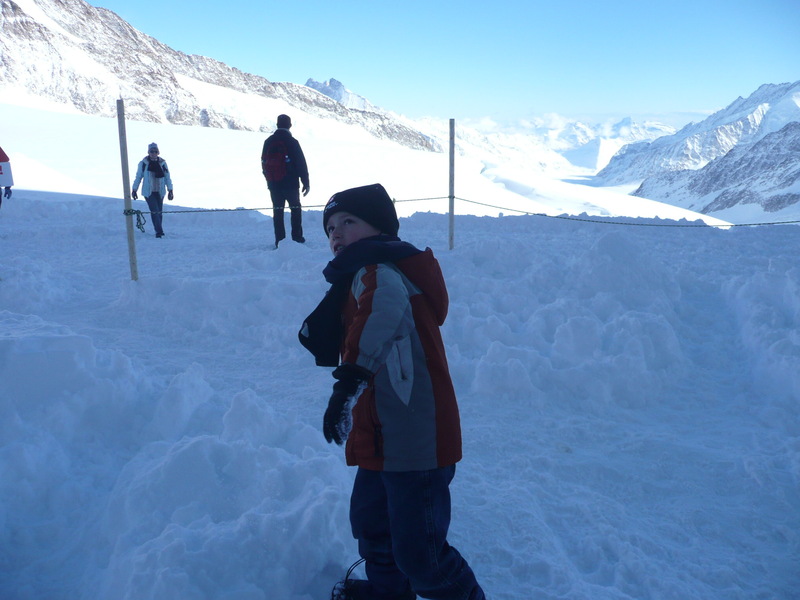 After playing out there for a long time, we then descended into the glacier. 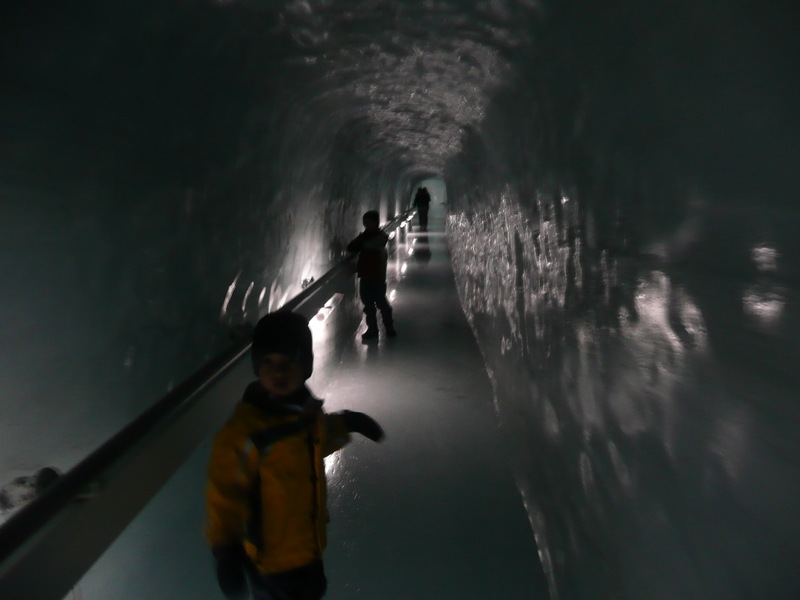 Yes, we went INSIDE the glacier where a series of tunnels are carved into the ice. 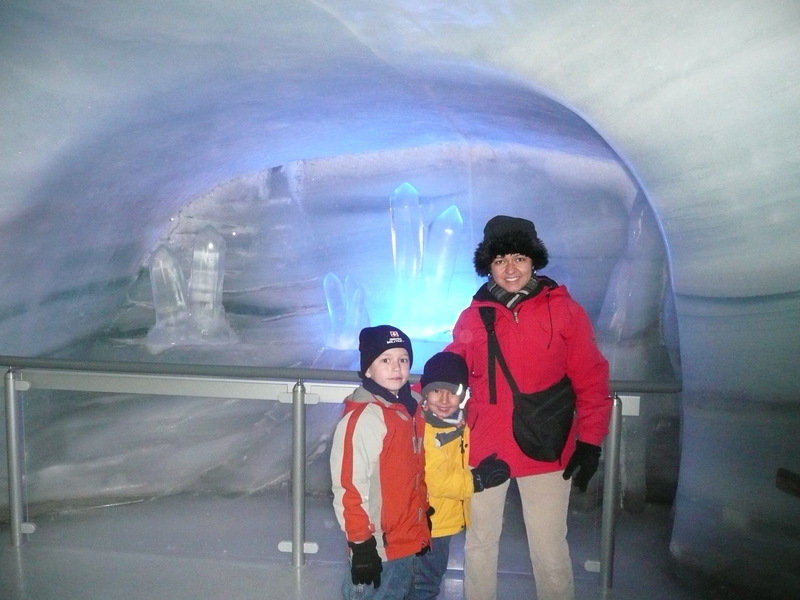 It is called the Ice Palace and it is truly amazing! 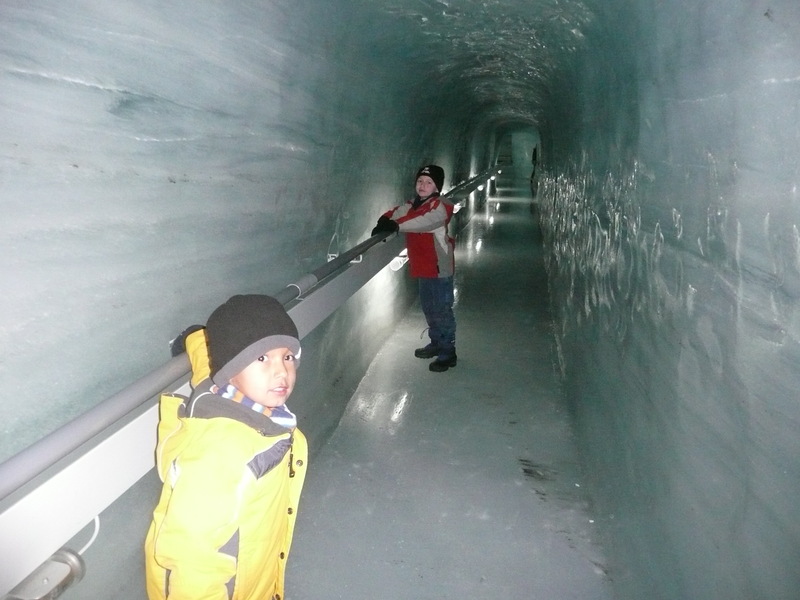 Floors, walls, ceilings, columns, niches and statues all carved into this unbelievable layer of thick ice. 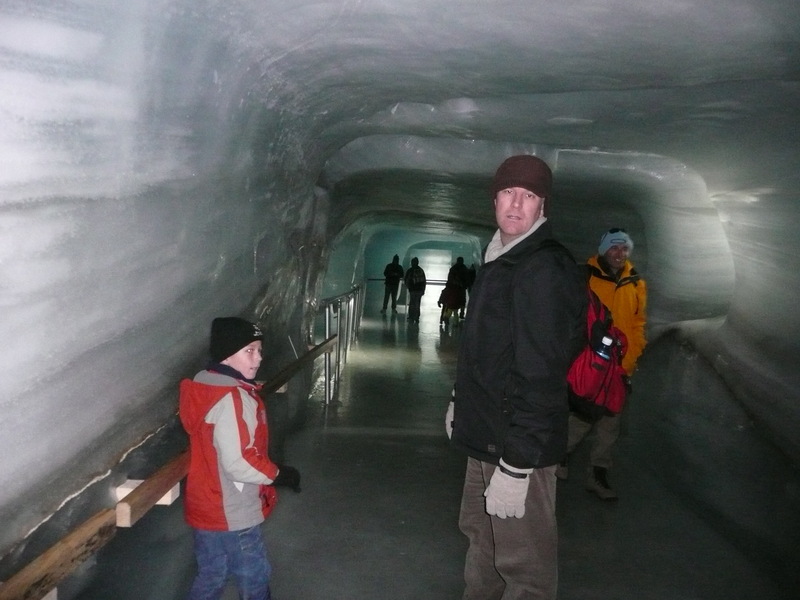 Knowing that a glacier is pretty much a slow flowing slushie, it was quite mind blowing to be INSIDE it! 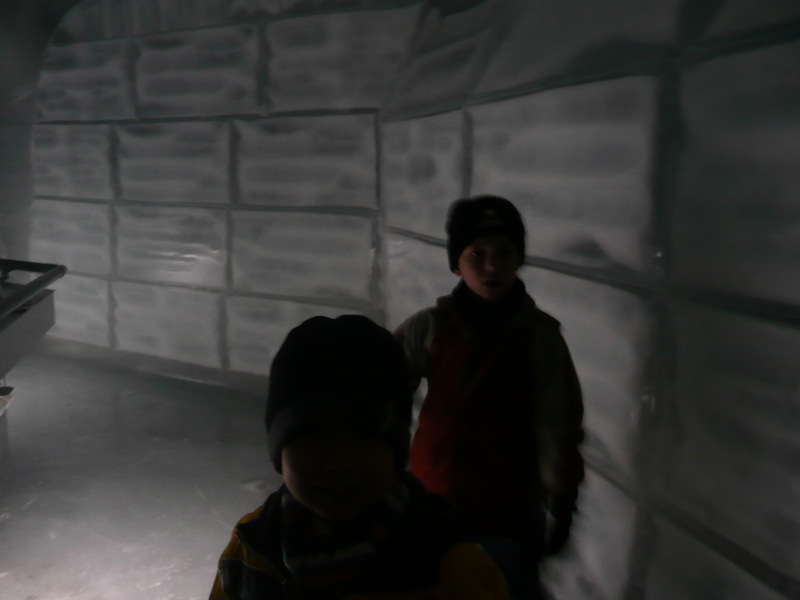 The Ice Palace is pretty big and it has several ice hallways so we took our time exploring it all. 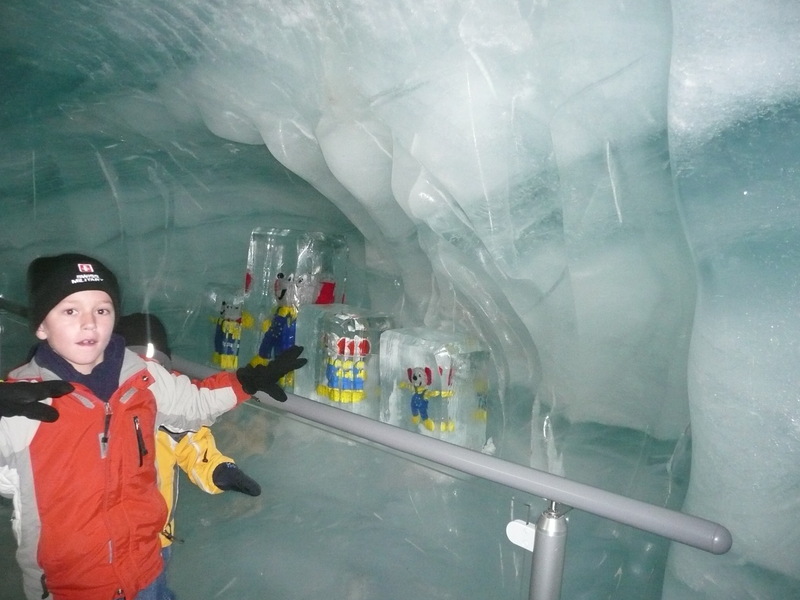 The niches contained ice sculptures and even frozen stuffed soccer mascots. 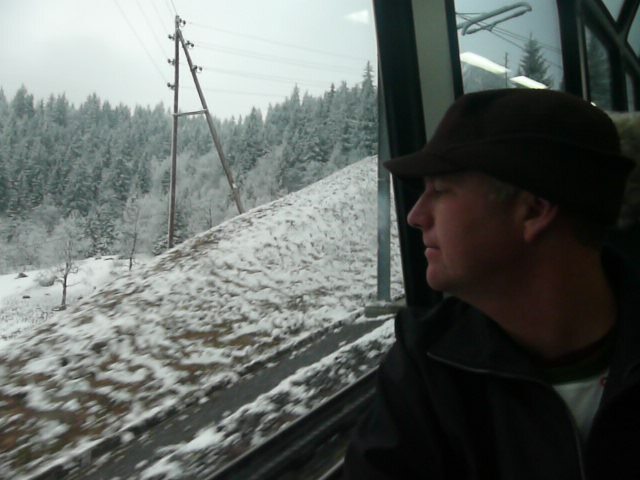 The UEFA Euro 2008 was to be played 3 moths later there in Switzerland. 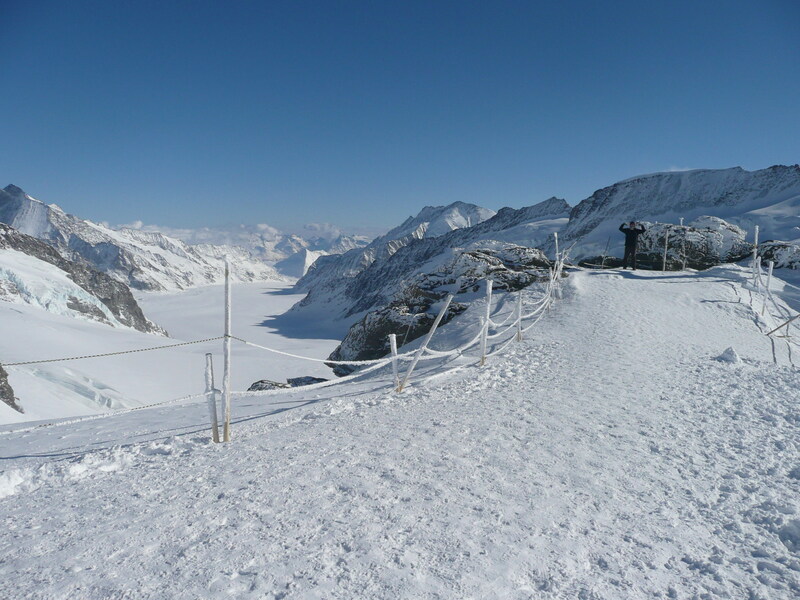 The Jungfrau-Aletsch was named a Unesco World Heritage Site in 2001. 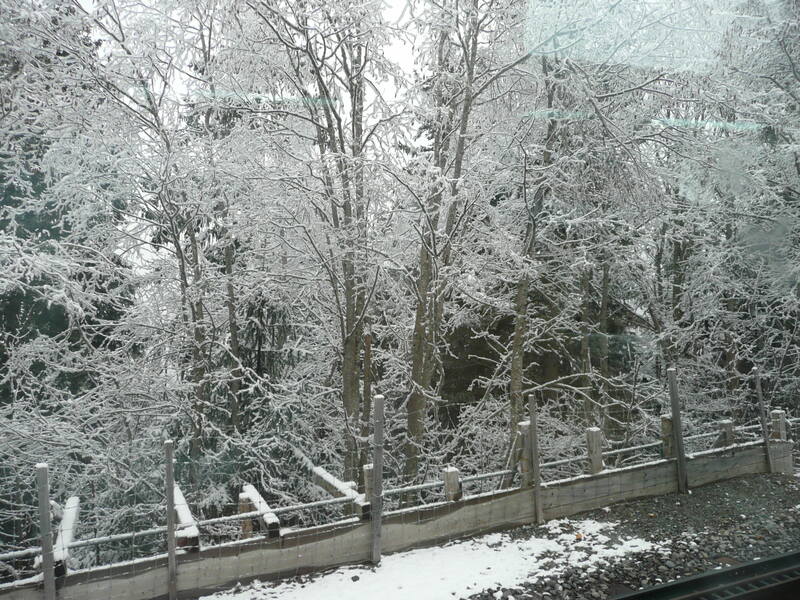 We spent the day admiring this majestic natural wonder before heading down to Interlaken for a nice raclette dinner. Going down is way faster than going up but the views are fantastic both ways. 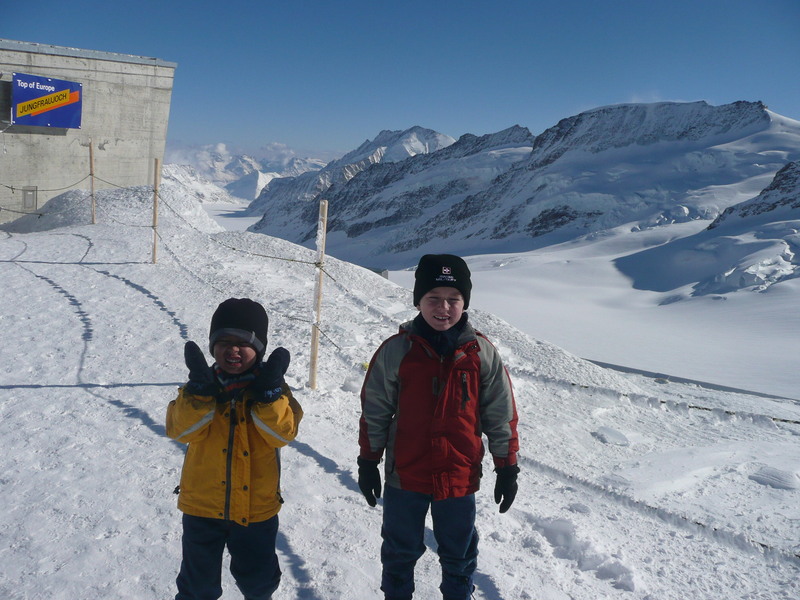 Visiting the Jungfraujoch was a great adventure and that day we experienced cold like no other! We also got a marvelous sight in our memory that reminds us that we live in a wonderful, gorgeous world. Marvelous post! What an adventure. This is awesome. 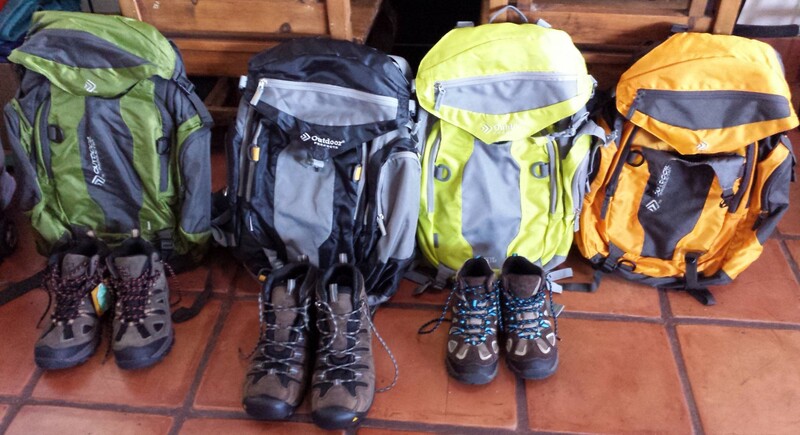 Hope you guys are able to reach your goal of traveling to every country together. Safe travels! Next Next post: We finally made it to the Emerald City. Seattle dreamin’.